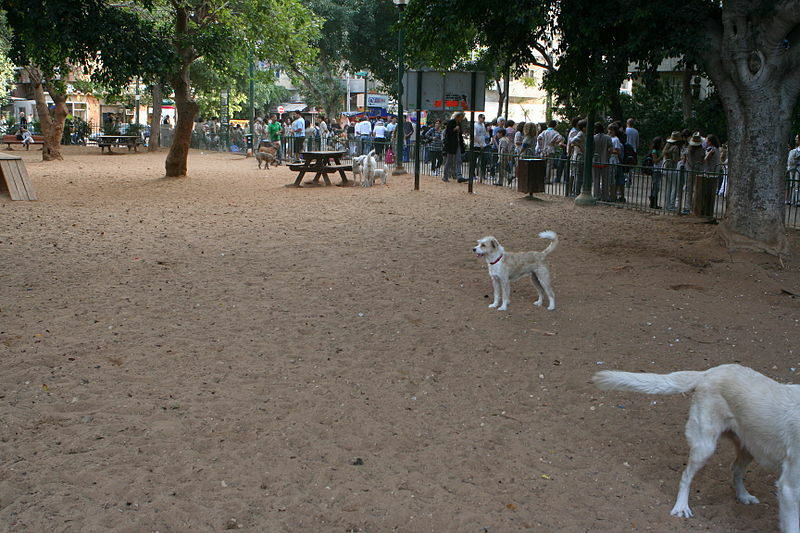 Tel Aviv, Gan Meir: As the City’s vegan restaurant are rapidly increasing, Tel Aviv dogs don’t want to be left behind. Labrador Retriever “Rocky” and American Pit Bull Terrier “Bamba“, the founders of the “Tel Aviv Vegan dogs’ Chavurah”, opened a special vegan section at Gan Meir with bi-weekly meet-ups for like-minded canines. The Daily Freier got a chance to take a short interview before their first meetup. Rocky then described the reactions of fellow Tel Avivian canines. “From smirking and frowning to condemnation – we’ve seen all kinds of muzzle expressions. But we won’t let them ridicule us! We stand by our principles, and quite soon they will understand how terribly wrong they were”. “They’ve just gone astray. It’s okay.” agreed Bamba as she calmly continued her yoga practice. “I feel like down dog pose is more spiritual than cat pose (not even mentioning rabbit)”. Bamba paused for a second. ”Oh, I mean we welcome all breeds and mammals. We are here to share love and positive energy”. Bamba then showed us what they brought for the first meetup. “We’ve got aroma sticks, and some delicious snacks provided by the new vegan store on Sheinkin”. We weren’t sure what we might need them for, so we decided to excuse ourselves and leave.